I think Dan Pontefract (www.DanPontefract.com) must be a brother from another mother. His views on the new world of work and ideas for new models of leadership and success align very closely with my own. What’s great is that Dan is a deep thinker who is also a practitioner. As Head of Learning & Collaboration at TELUS he is responsible for leadership and learning strategy for the entire company of 40,000 individuals. Dan’s fantastic book is Flat Army. I have dog eared and underlined dozens of passages, and below is one excerpt related to social capital that is very valuable. Emanating from China but in use across many Asian cultures, when loosely translated guanxi means connections, networks and community relationships. It describes a very basic dynamic: your personal and professional circle of contacts is your enter of influence, and, thus, the more you build your network, the more likely it is that you achieve results, answers or knowledge. It is the ultimate “It’s not what you know but who you know” philosophy. I have often said when public speaking, “I store my knowledge in my network,” and the concept of guanxi aligns nicely to this philosophy. Need some help with a business idea? Tap into the network. Worried you don’t have enough information about a client opportunity? Tap into the network. Unclear what project management company to employ for a time-sensitive project? Tap into the network. Seeking advice on your next career move? Tap into the network. The obligation and expectation in guanxi is that you too will be there in a moment of need, hence the alignment to reciprocity. Guanxi is not a one-sided relationship. Is is a social circle on performance enhancing drugs. 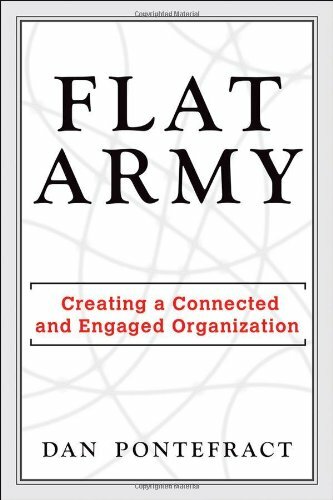 Click here for more information on Flat Army by Dan Pontefract.